I feel it's only fair to warn you, dear reader, that Vanessa Diffenbaugh's central character, Victoria Jones, is going to break your heart three ways from Sunday. She's also going to make you want to pick her up, shake her and scream, why can’t you let yourself be happy? But for Victoria, the answer is as complex as the question is simple. She's spent her childhood ricocheting through countless foster and group homes, and the experience has left her in pieces. Painfully isolated and deeply mistrustful, she cares only about flowers and their meanings. She herself is like a thistle, a wall of hard-earned thorns. When we first encounter Victoria, it's the day of her emancipation from foster care, her eighteenth birthday. "Emancipation" couldn't be a more ironic word for this moment. For Victoria, as for most foster care survivors—-myself included—-freedom really means free fall. She has nowhere to go, no resources, no one who cares about her. 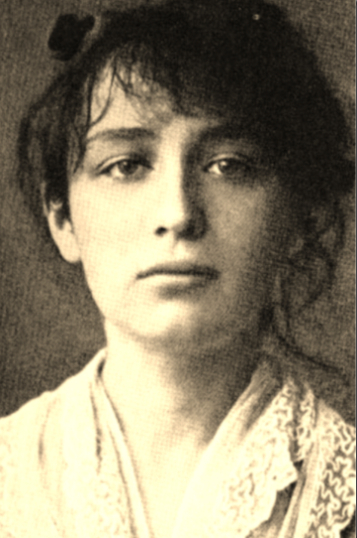 She ends up sleeping in a public park, tending a garden of pilfered blossoms, and living on her wits. It's only when a local florist sees Victoria's special way with flowers that she is given a means to survive. But survival is just the beginning. The more critical question is will Victoria let herself love and be loved? The storyline weaves skillfully between the heavy burden of Victoria's childhood—-her time with Elizabeth, the foster mother who taught her the language of flowers and also wounded her more deeply than Victoria can bear to remember—-and the gauntlet of her present relationship with Grant, a flower vendor who's irrevocably linked to the darkest secret of her past. At its core, The Language of Flowers is a meditation on redemption, and on how even the most profoundly damaged might learn to forgive and be forgiven. By opening up Victoria's very difficult inner world to us, Vanessa Diffenbaugh shows us a corner of experience hidden to most, and with an astonishing degree of insight and compassion. So hold on, and keep the tissue box nearby. This is a book you won’t soon forget. Author, Vanessa Diffenbaugh is the founder of the Camellia Network, an organization that supports youths transitioning from foster care. Diffenbaugh and her husband are foster parents, and while she says the novel is "100 percent fiction," the book does draw on some of her personal experiences. Victoria's character was inspired by a young woman whom Diffenbaugh had mentored. "She had a very serious attachment disorder. She'd been born into the foster care system, she had a number on her birth certificate, and she didn't even know who named her," Diffenbaugh says. "There were brief moments when I felt that I knew her, and I loved her, and I knew that she was capable of loving me back, but I could never quite get through to her." Diffenbaugh says foster parents should expect to be tested. "You have to really prove yourself to young people," she says, "and if your answer is clear and consistent and loving — even if it's angry and disappointed — what's important is that you're being real and honest and not going anywhere." As much as Diffenbaugh loves flowers, she says, the focus of the book is foster care. The flower angle emerged organically as Diffenbaugh sat down to write the book. The first scene she wrote is one that takes place in the flower market. A man looks at Victoria in a way she doesn't like, so she later brings him rhododendron, meaning beware. 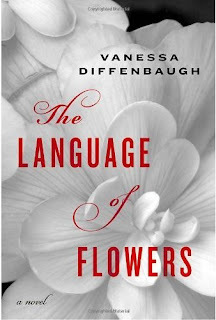 Victoria is the protagonist and central character in The Language of Flowers, Vanessa Diffenbaugh's debut novel, which explores the complexities of foster care. Victoria Jones is often sullen silent, and hostile, but she speaks the language of flowers. She knows that red roses signify love. The primrose means childhood, which she never really had growing up in a series of foster homes and institutions in northern California. The hawthorn means hope, which Victoria ran out of after never being adopted and then turned out of foster care and left on her own when she turned 18. Aging out of the foster care system convinces Victoria to be suspicious of all attachments. She sleeps in the park and does odd jobs in a flower shop for small change, until the power of flowers opens her life. Victoria does have a connection with flowers. The flowers also represent something that Victoria is good at. For Victoria, the flowers give her a real sense of success. Victoria keeps going to different families, but no one wants to keep her — until she meets Elizabeth when she is 9. When they first meet, Victoria lets Elizabeth know she's aware of the rules. 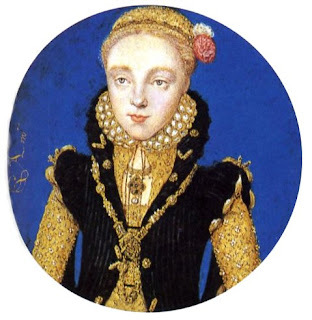 Elizabeth responds by telling her, "If I were trying to poison you, I would give you foxglove or hydrangea ... depending on how much pain I wanted you to feel and what message I was trying to communicate." She then tells Victoria she's giving her starwort, a flower that means welcome. The talk of flowers piques the young girl's interest, but she remains outwardly guarded. "They look like daisies to me," Victoria says. "And I still think they're poisonous." I hope dear reader that you will choose to read The Language of Flowers, give it a chance to let the characters come to life for you, let the writing wash over you and hopefully the psychological, sociological and familial characteristics will give way to the heartwarming truth about life, love and the real observation that the only thing human beings expect in life is to be...wanted. I read The Language of Flowers and having worked in the foster care system, can relate to a lot of what the author wrote about. Thank you Kimberly for writing such an in- depth review. It's a wonderful novel. Good review - I would really like to read this. Welcome Lily and thank you both for taking the time to stop by and leave such wonderful comments! I'm so glad you commented gigigirl,thank you! I was thinking of you while reading this and wondering what your views would be, especially considering your career!